Happy Kitchen Sink Stamps Monday! 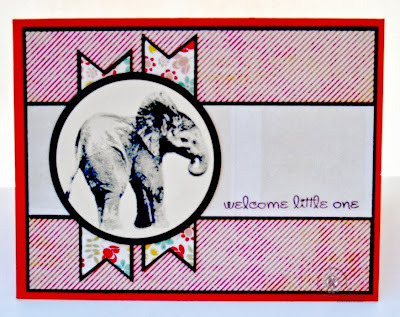 Inspired by this weeks Mojo Monday Sketch, I created my card using Kitchen Sink Stamps Multi Step 'Lil Elephant and My Minds Eye pattern paper. A wonderful design. 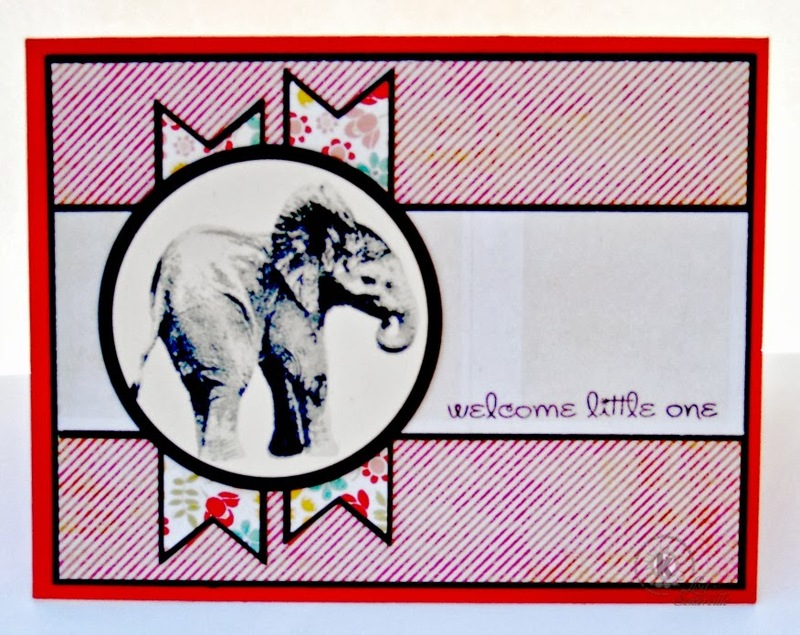 Love the elephant in the circle. Such a sweet image, great layout!